Welcome to Prague, which is the capital city of the Czech Republic. 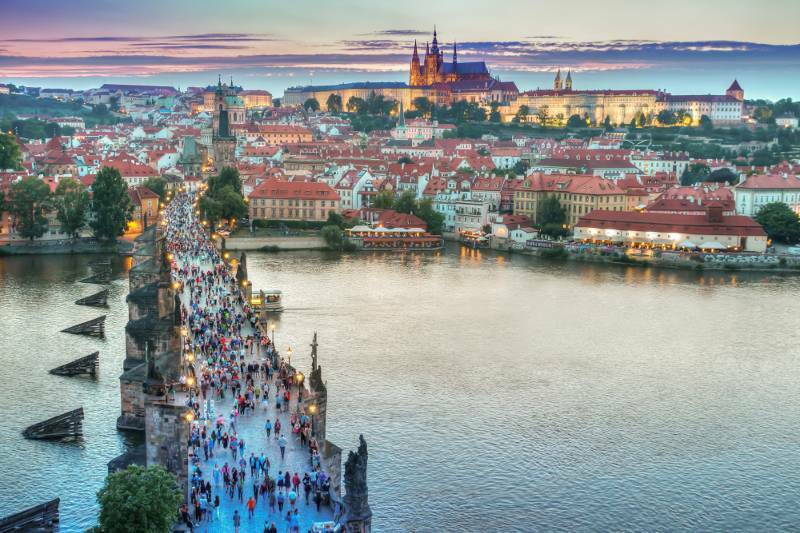 Prague, the heart of Europe, is a historical city with a modern soul. 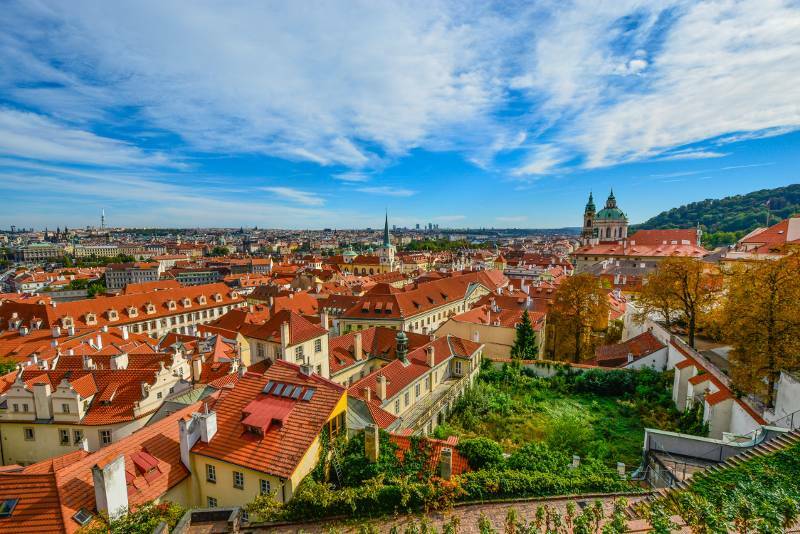 Thanks to it cultural wealth and architectural monuments it is often called “Golden Prague” or “The City of a Hundred Spires”. 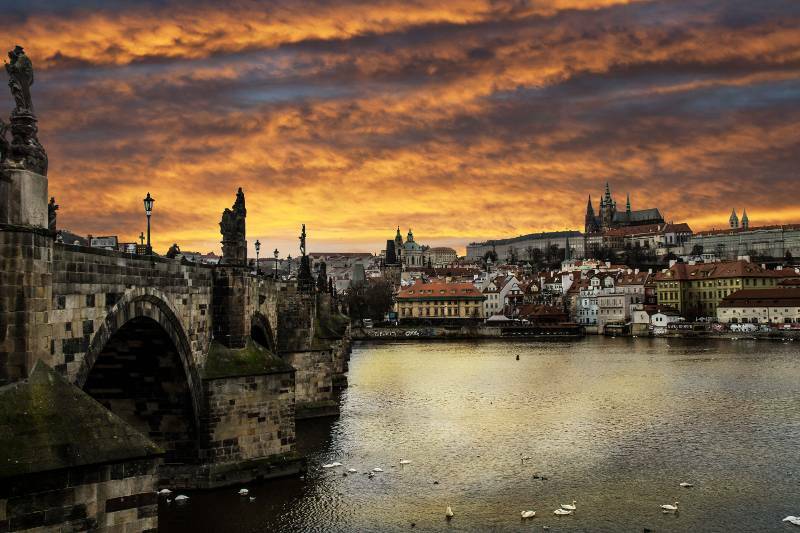 The dominant monument of the historical city is the Prague Castle and the St. Vitus Cathedral. The Castle dates back to the 9th century and is one of the largest castle complexes in Central Europe. Today it is the seat of the Czech president. When walking from the Castle to the Old Town, you will cross the Charles Bridge, which is 515 meters long and is the oldest bridge in Prague. It was built in 1357 by Charles IV and the statues on its sides date mostly to the 18th century. The Charles Bridge is a part of the so-called “King’s road” from the Prague Castle to the Royal Court, formerly the seat of Czech kings, today a Communal House. If you walk on the “King’s road”, you will reach the Old Town Square, the most important square of the historical city of Prague. Here you can admire the Old Town Hall and the Church of Our Lady in front of Týn, the famous astronomical clock, the baroque St. Nicholas Church, rococo Kinský Palace, Gothic House at the Stone Bell and the Jan Hus Memorial by Ladislav Šaloun from 1915. The Prague Meridian is located in the centre of the square. 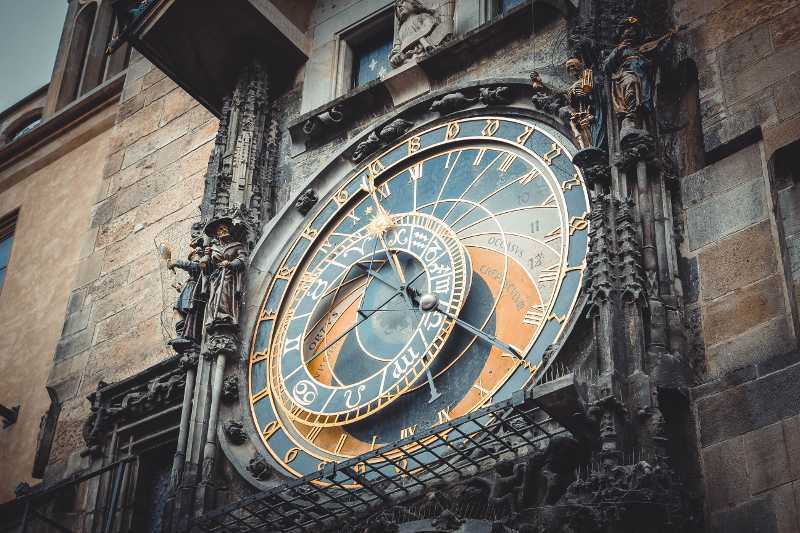 The Old Town Square is near the Jewish Quarter that dates back to the 13th century and includes a historical cemetery and several synagogues, whereas the most famous is the Old New Synagogue. The present Jewish Quarter is a result of an extensive project from 1893–1913. The Pařížská street, famous for its luxurious shops, forms the backbone of the Jewish Quarter. All of these places of interest are located near The President Hotel.